Moderate Rebels - Faith & Science. Background - London-based anti-music collective Moderate Rebels – whose members include Mo, Kate, Chris, Nick, Emma, Susan, Bob, Beth, Joe and more (crucially, not all at the same time) – present their new song ‘Faith & Science’ as a further preview of their second album ‘Shared Values’, which is released on 30th November on Everyday Life Recordings. 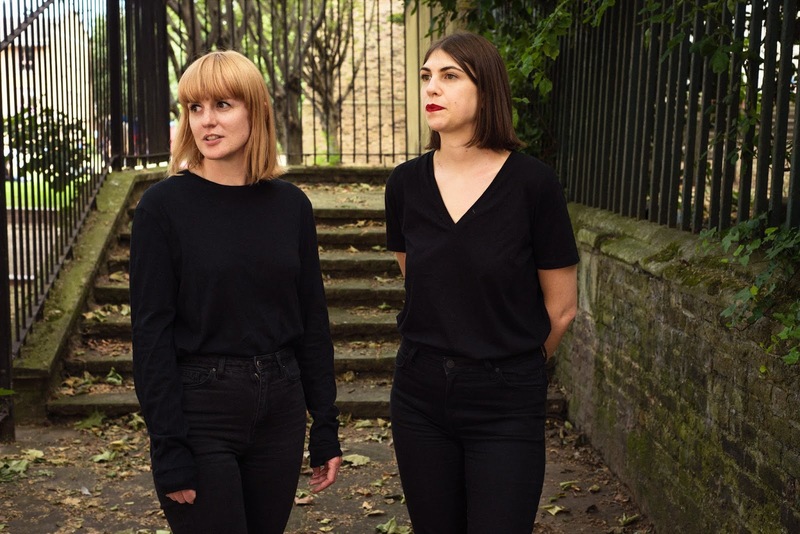 As with all Moderate Rebels music so far, Shared Values was recorded in a small studio in South Bermondsey, London, where “you can hear church choirs through the walls – people looking to lift up each other’s spirits. We hope somehow that seeps into the racket we make.” TWITTER. 25th Nov @ Broadcast, Glasgow. 'Faith & Science' is the brand new Moderate Rebels track and the last single before the album is released on Nov 30th. This is the third track we have shared from the bands the highly anticipated 'Shared Values' album, once again the bands distinct and hypnotic sound is highly compelling, their approach to writing, developing and recording music might be a little nonconformist, but oh boy does it work! Background - Leeds, England, quartet Far Caspian unveil new single Blue, the latest cut taken from their forthcoming debut EP Between Days, out via UK label Dance To The Radio. Following on from the majestic Holding On, which turned heads when it drifted into the online sphere’s consciousness, and following singles Let’s Go Outside and The Place, Blue reaffirms the band’s knack for hazy, infectious dream-pop. Whilst Far Caspian have been based in Leeds since formation, frontman and guitarist Joel Johnston has only recently moved over to England from his native Ireland, and themes of isolation born of relocation pervade his writing. 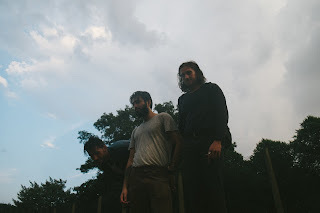 Referencing the dichotomy between the often gloomy themes in the lyircs and breeziness of the music with the playful self-nominated tag of ‘melanjolly’, Far Caspian’s wistful sound calls to mind the likes of Local Natives, Real Estate, Grizzly Bear or Band of Horses. However where those bands’ textures lean on the symphonic side, the lo-fi origins of the project in Johnston’s university house, before Nath Sayers (guitar), Alessio Scozzaro (bass) and Jof Cabedo (drums) came in to complete the line-up, lends Far Caspian’s sound a comforting, insular edge. TWITTER. Our third feature for Far Caspian this year is the new song 'Blue'. The band are consistently producing fabulous indie pop that is crammed full of melodic hooks and delivered with refreshingly bright production and dreamy vibes. Lightfoils - Summer Nights (radio edit). 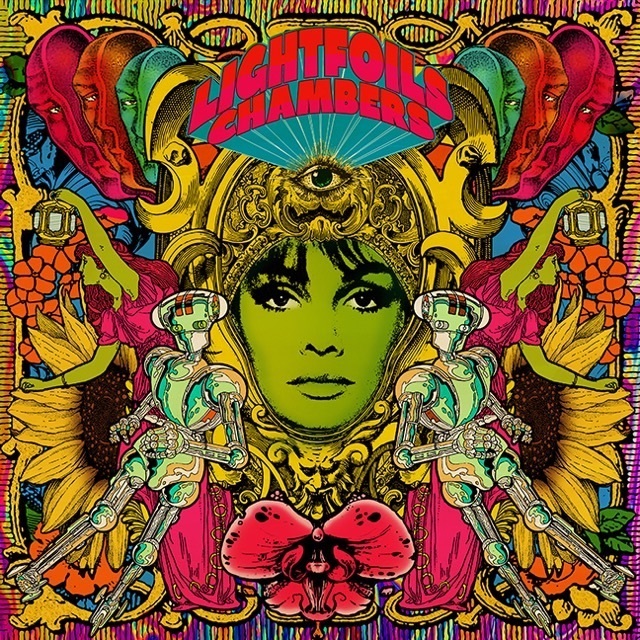 Background - Lightfoils have announced their new album Chambers (Bandcamp pre-order, out November 16th), which is their first taste of new music since the release of their acclaimed 2014 album Hierarchy. To coincide with the long-awaited announcement, Lightfoils is sharing the album’s mesmerizing lead single “Summer Nights”. 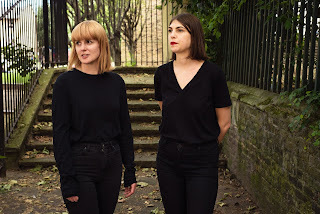 The song is a gorgeous, richly layered shoegaze track with a calculated build-up that pairs melodic bass with alternately chiming and blanketing guitars, while Lightfoils’ lead singer Jane Zabeth Nicholson's vocals float longingly above. Formed in 2010, Lightfoils’ sound is decidedly shoegaze, although the band subtly stretches the auditory boundaries of what the term embodies, honing in on a more cosmopolitan and ethereal sound. Their forthcoming album Chambers (advance below) represents a band that has mastered the atmospheric tone they've become synonymous with and continue to occupy, almost a decade after formation. The band is self-releasing the album, both for the autonomy and for the ability to be intimately involved in all aspects of the album’s production and subsequent roll-out. The first track on the album “The Bitter Over” opens with dream-like guitars, transporting the listener away - it's the sound of Lightfoils taking the listener by the hand and leading them into the unknown. Zabeth’s vocals both echo in the background, and dance in the front. “Duende” sounds like a surf rock wave rolling onto darker shores, with the rhythm section keeping an upbeat tempo, keeping one grounded, while the vocals and guitars provide a loss of gravitational control. 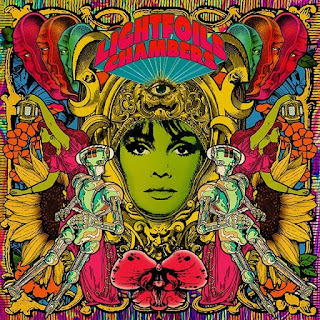 This mix of rhythm and reverb-laden guitars, combined with the right amount of bite from classic fuzz distortion is what Lightfoils does best. “This Time is Up” speeds things up with a faster tempo and swirling, distorted guitars, and rattling bass. Zabeth’s vocal melodies are reminiscent of classic 90s rock that has a touch of shoegaze, a touch of grunge, and channels the softness of singers of earlier alternative rock bands. It has an easy comedown, changing in tempo to seduce the listener into the next track. “Honeydew” draws on whirring guitars and crashing cymbals, carrying Zabeth’s vocals through an experience of senses. The track enters an intermittent key change midway, and continues to soar toward a more upbeat, crashing close. WEBSITE. 'Summer Nights' is a combination of atmospheric shoegaze and lush dream pop. The vocals are set perfectly within the mix allowing their melodic beauty to shine through, the music is creatively textured. As a taster for the album, this ticks pretty much all the right boxes. The Ophelias - Moon Like Sour Candy. 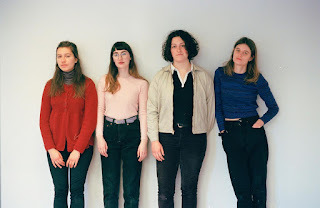 Background - The Ophelias have just shared their "Moon Like Sour Candy" video ahead of fall tour dates with WHY? "Moon Like Sour Candy is based on Midwestern longing and all four of the elements. The video takes everyday textures and pushes them into surreal territory." - Spencer and Jo. Through a blend of understated rock, baroque pop and wide-skied atmospheres, The Ophelias explore the juxtapositions of youth on their album, Almost. Having formed the band while still in high school, bassist Grace Weir, guitarist/lyricist Spencer Peppet, percussionist Micaela Adams, and violinist Andrea Gutmann Fuentes first met at a time when each were independently serving as the “token girl” in various dude-bands from their hometown of Cincinnati, OH. Coming from varied musical backgrounds (ranging from garage-rock, to surf, to opera), the distinct talents and influences of each member collided in unexpected ways at the band’s first rehearsal. It was here the band discovered that their chemistry wasn’t rooted in a shared musical reference point, but in the creative relief from the expected censorship of being a sideperson. Produced by Yoni Wolf (WHY? ), the new album Almost glides between palatial assuredness and pallid introspection, looking back on youthful yearning — the uncertainties, the traumas, the anxieties — without discounting its soft beauty. The Ophelias steer Almost through the lineage of coming-of-age confessionals, and affectionately document their growth into a warm, fractured adulthood. TWITTER. 25 Nov. MOTR Pub, Cincinnati (OH). We have already shared three tracks from The Ophelias 'Almost' album released a short while back, however with a tour scheduled they have just presented the video for 'Moon Like Sour Candy' and I'm not about to pass up on featuring another enticing song from this very fine collection.